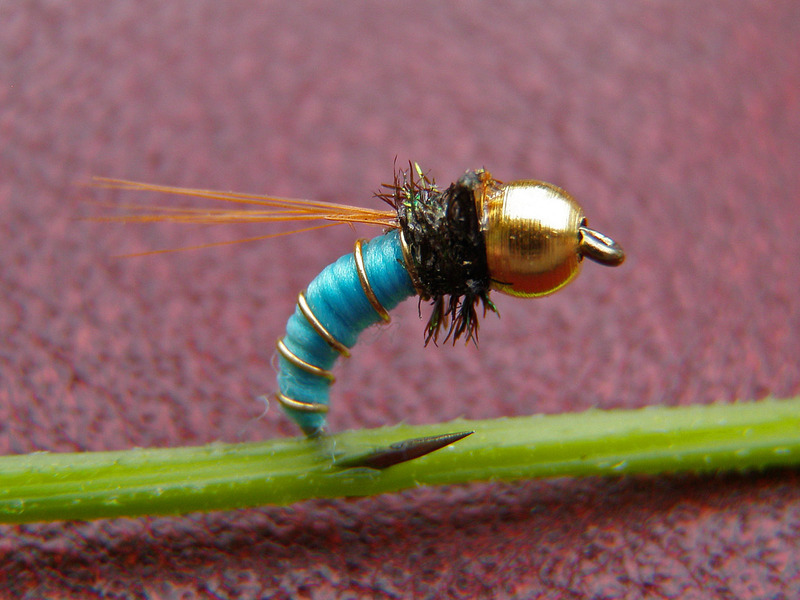 Urs Dublin, the Swiss master fly tier for finest CDC winged parachute dry flies. Urs Dublin (21.2.1945- 18.12.2016) was living at the best, and most beautiful fly fishing river (chalk stream) of Switzerland, the Doubs river. 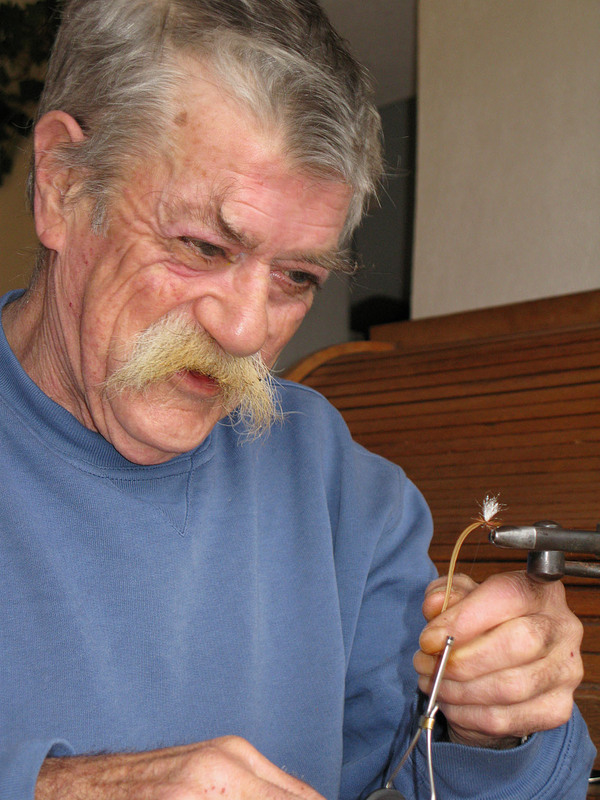 He developed the finest CDC winged parachute dry flies. 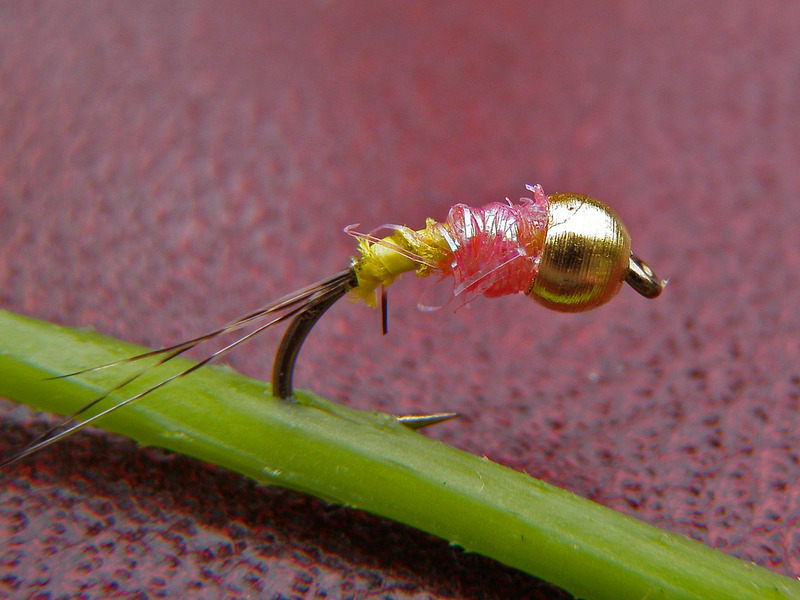 That are flies developed for the really difficult fish under difficult conditions- as you have it usually when hunting the famous "Zebra trout" of the Doubs. Well visible and high floating they can turn a "no chance" day in a day you will never forget. 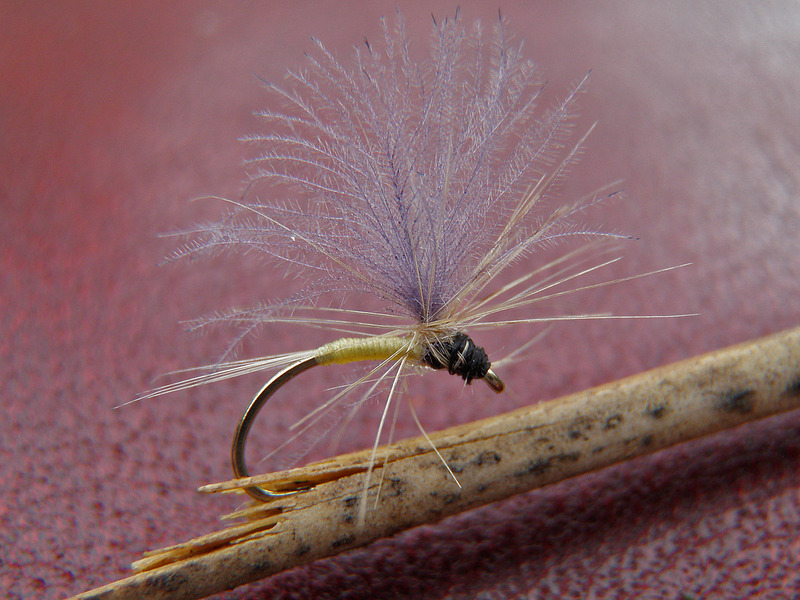 His Mini-Nymphs are designed to catch the big trout and grayling even in the difficult autmn- and winter rivers with low water and well trained fish. 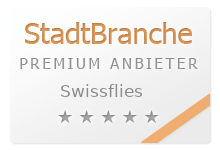 He tied only on high quality barbless hooks; wings made with SwissCDC natural or SwissCDCcolor. On this page you find only the Original flies, sold only to collectors- as long as in stock. 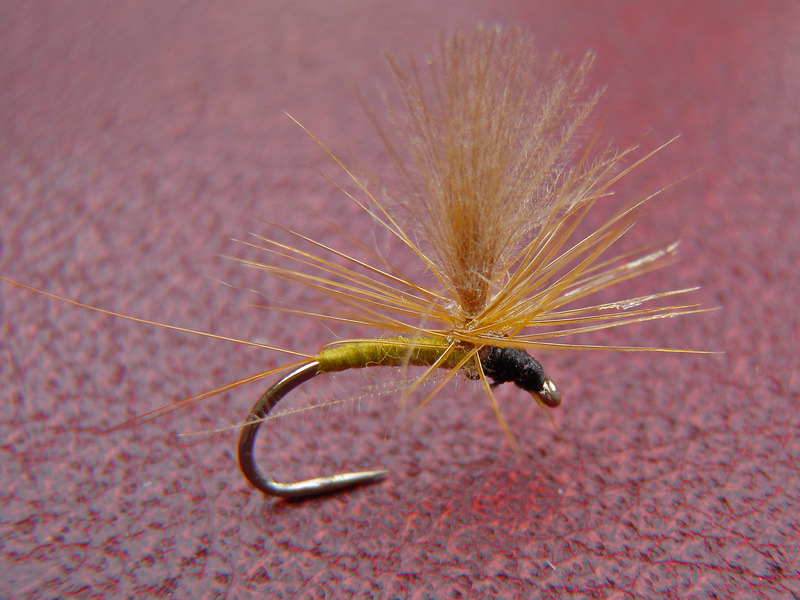 This olive body CDC winged parachute dry flies is best used in slow currents from May onto late October. "La Bleue" - The Blue - the most famous fly from Urs Dublin. 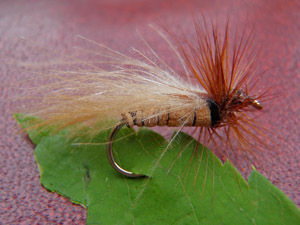 It's only this fly which can make big trout rise in full sunlight- and make them take without any precaution. this fly faces more than twenty years of experience at the Doubs river- the river with the worlds most difficult fish- what takes the famous Zebra trout, will take trout everywhere. You need a surprise for your big trout? 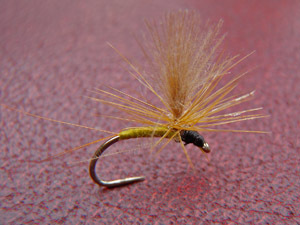 Or somenthing to persuade the rising grayling? The CDC winged parachute "LILA" will do it. The best Swiss nymph for big grayling. Small nymph- big fish. 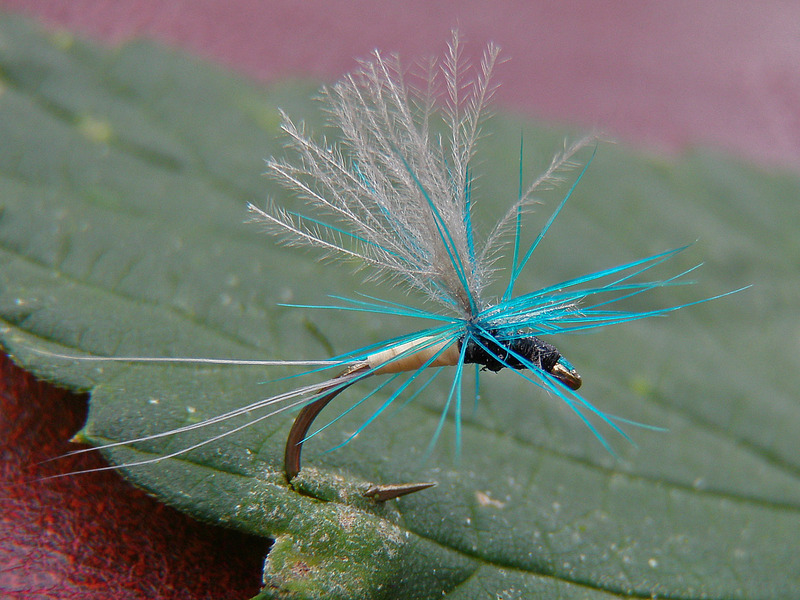 The blue nymph, Swiss handmade by U. Dublin, is far the best nymph for big grayling. But if you are a private fly tier: Try to remake these successful flies for your own. 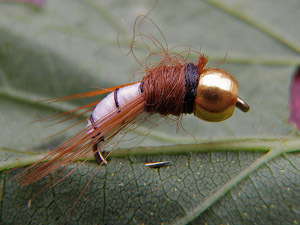 Only if talented fly tiers of today tie and fish the successful patterns of yesterday, this unique cultural heritage can be preserved from destruction and oblivion.